Carrie’s desire to “color outside the lines” may also be attributable to the exotic forms of expression she discovered while traveling with her family, the creative artifacts unbound by Western convention. “My dad was in the jewelry business,” she says. “He went overseas to source stones, metals and other materials, and we’d go along. We went to places like Indonesia, Morocco and India.” She has since visited India a dozen times. Carrie later enrolled at the University of California Santa Barbara to study communications, but she minored in art history, developing a particular fondness for modern art. 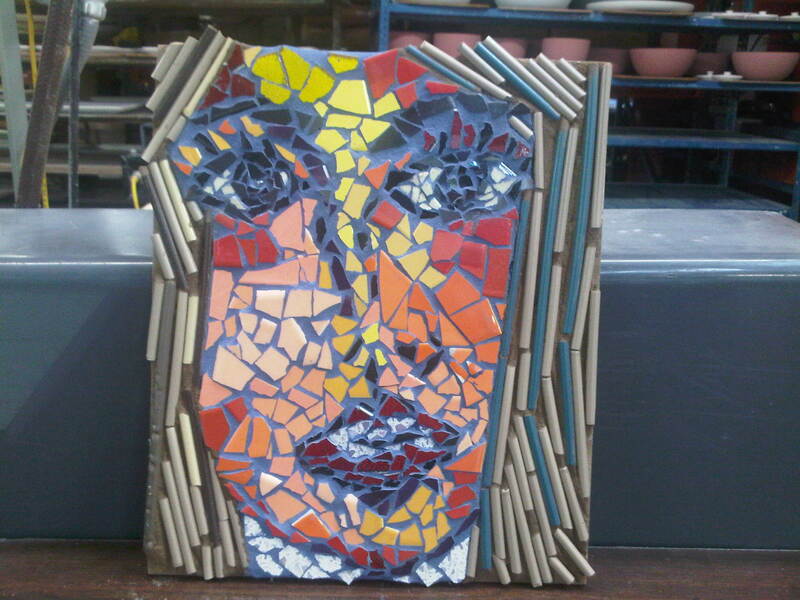 She also took art classes, including one devoted to sculpture. She increasingly found herself agreeing with sculptor and conceptual artist Robert Morris that art is defined not by the nature of the art object itself but by the viewer’s relationship with it. She recalls an assignment to represent change. Her response was to fill a Plexiglas box with balloons. Over time, the balloons shrank; they existed in a sustained state of change. Carrie titled the piece “What Stays the Same Is That Everything Changes.” Equally as important to her, however, was the viewer’s relationship to the box of balloons: “Because the balloons shrank at different rates, their size and position varied. Someone observing the box from one angle would have a different relationship to it than someone observing it from another.” “What Stays the Same” was selected for the university’s undergraduate art exhibit. At UCSB Carrie studied with Gary H. Brown, also serving as a T.A. for his Creative Visual Journal class. “I was a very Type A student,” she reveals. 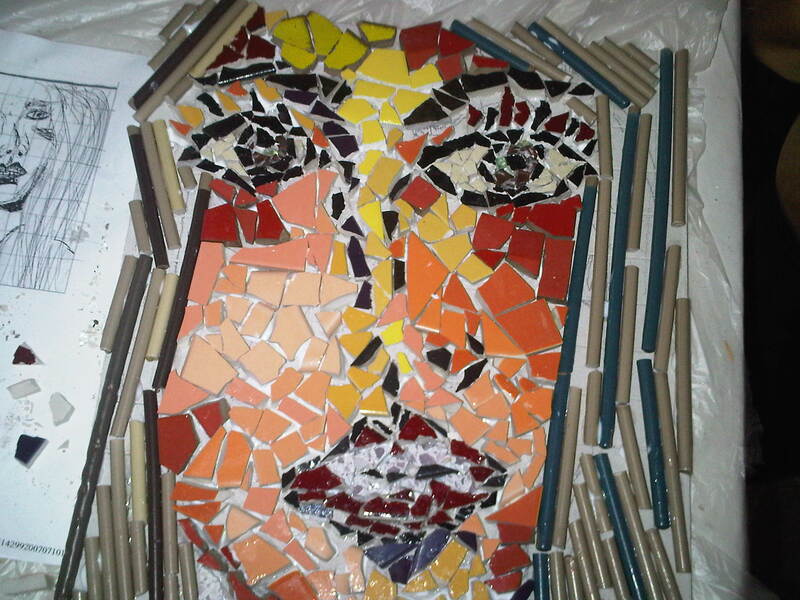 “Gary helped balance that out and reinforced my earliest association of art with pleasure,” reflected today in the satisfaction she takes from laying down the grout lines in her mosaic pieces. She undertook post-graduate study with Michael Markowitz at 23rd Street Studio. Carol Shelkin and Ellen Blakeley have also influenced her development as an artist. Really nice work Carrie and I love your style.